mchi5, quadtronix and Fobbers like this. 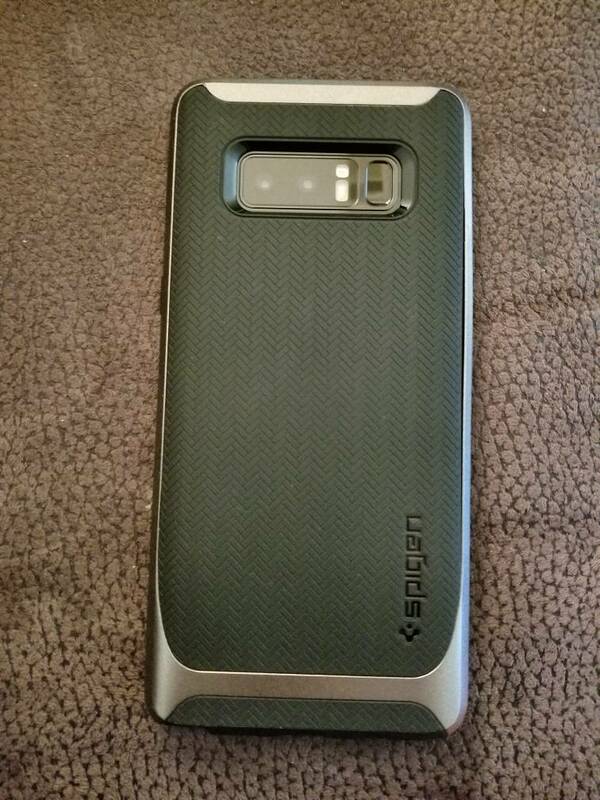 I got the official Samsung alcantara case. It's nice but not worth $50. Anthony Martins Rock likes this. Also a supcase unicorn beetle in purple. How is the Tech21 wallet case? Can you give me a mini review on it? I was thinking about getting that case. I have a few cases for the Note8, including the lumion gardien.... But my favorite is the Spigen Neo Hybrid. I have had several of these for various phones. Caddant, Fobbers, rsmin and 1 others like this. The dark grey/black TPU case has a Herringbone print that adds a slight bit of grip. I also had one of these for my Note 7 and loved it. It's nice. What I like is that soft fabric that protects the screen from any card or cards you put in the slot. I guess the only issue is that slot will only realistically hold one card but I rary carry them anyways so a non issue. Looks great, durable construction. Amele and mountainman like this. How do I stop my Samsung Galaxy s8 from recording games I play?